Please register your information on the following screens. After you click on "confirm and proceed with payment" you may pay online or mail a check. In this one day workshop, learn how to build layers of warm and cool washes over a preliminary drawing to create naturalistic skin tones and build the illusion of three dimensional form, creating lively and expressive portrait paintings. The workshop will include a step by step demo and the opportunity to practice what you have seen. Students will work from personal photo reference or provided sample photos. Suitable for all levels, basic watercolor and drawing skills recommended. 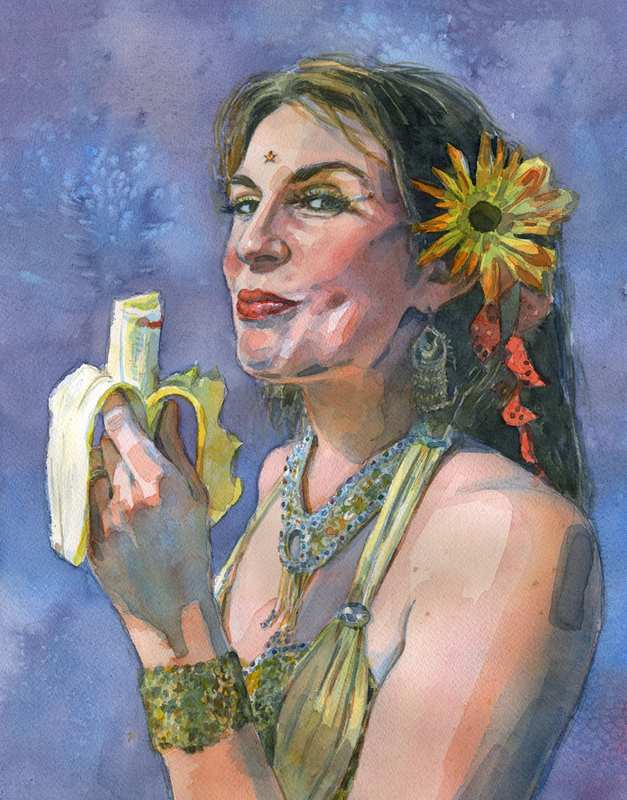 Joanna Barnum is a locally based fine artist and illustrator specializing in watercolor portraiture. Her approach to watercolor embraces the fluidity and expressive potential of the medium while emphasizing careful observation of color, light, and form. Joanna has painted hundreds of portraits for clients around the world, and her illustration work has received recognition from American Illustration and the Society of Illustrators of Los Angeles. 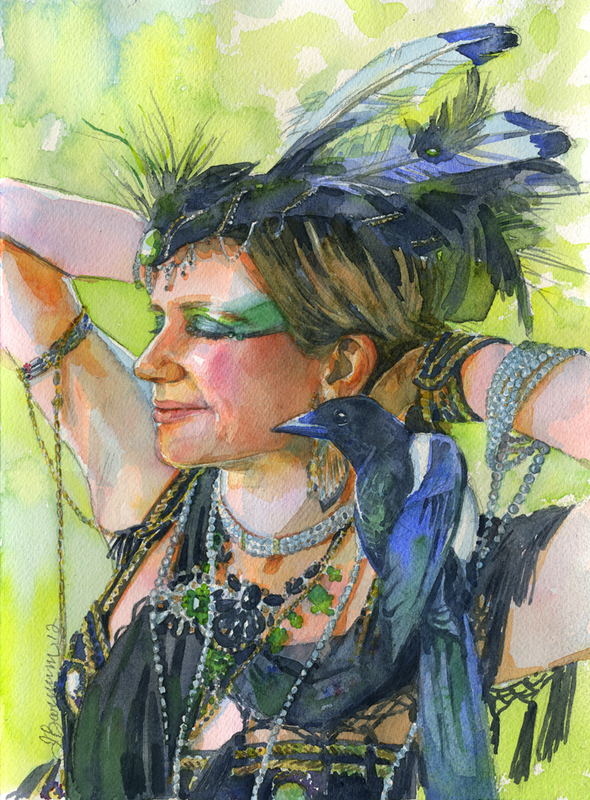 She serves as Newsletter Editor for the Baltimore Watercolor Society, is an accredited member of the Maryland Society of Portrait Painters, and holds a BFA from the Maryland Institute College of Art. She has taught workshops and programs for Towson Arts Collective and the Smithsonian American Art Museum, and teaches an ongoing watercolor class at the North Carroll Senior Center through Carroll Community College. Coffee will be served, please pack a lunch. Please download the supply list and photo guidelines. Sample portrait photos available for use in the workshop. See additional samples of Joanna's portraits on her website. 75% refund if notified no later than November 7th. Refunds for later cancellations are subject to availability of a substitute participant.